West Students Kacelyn Davis & Connor Fouch in the Bio-Med Classroom. 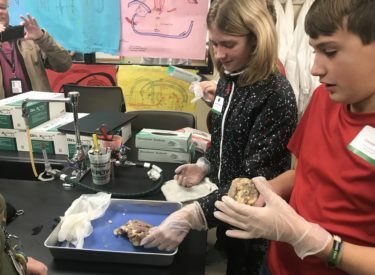 West Middle School sixth grade Gifted and Talented students recently visited Pioneer Technology Center in Ponca City to tour their STEM (Science, Technology, Engineering and Mathematics) classes. 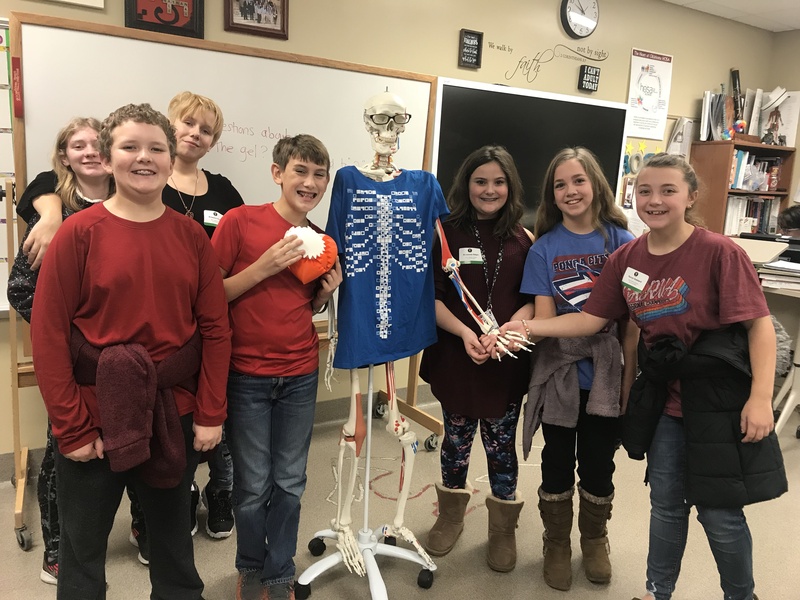 Back row: West Students Kacelyn Davis and Breanna Fowler Front row, from left, Preston Crosby and Connor Fouch, Mr. Skeleton, Makenna Gilpin, Allison Edwards and Terryn Goddard in the Bio-Med Classroom.